How Far is Salarpuria Silverwood Apartments? Salarpuria Silverwood Apartments is located on Old Madras Road, Bangalore, providing modern apartments equipped with facilities like maintenance staff, robust security with intercom and community hall. 2 BHK flats and 3 BHK flats ranging from a size of 1813 sq. ft. to 3570 sq. ft. are available. Bangalore Electricity Supply Company Limited has approved the project. Cosmos Mall, Forum Value Mall, Ryan International School, Blossoms School and Bageecha Restaurant are some of the amenities situated in the vicinity. 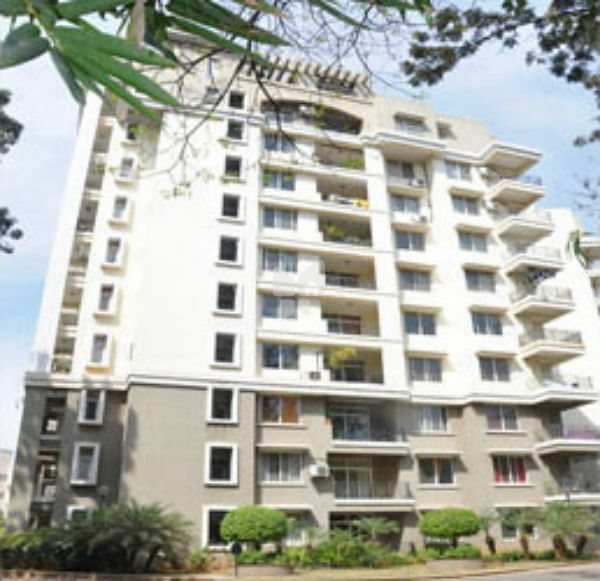 Salarpuria Silverwood Apartments is located on Old Madras Road, Bangalore, providing modern apartments equipped with facilities like maintenance staff, robust security with intercom and community hall. 2 BHK flats and 3 BHK flats ranging from a size of 1813 sq. ft. to 3570 sq. ft. are available. Bangalore Electricity Supply Company Limited has approved the project. Cosmos Mall, Forum Value Mall, Ryan International School, Blossoms School and Bageecha Restaurant are some of the amenities situated in the vicinity.